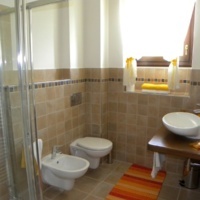 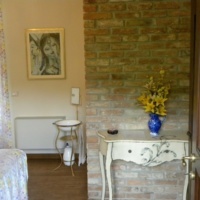 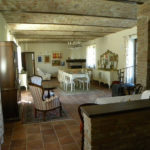 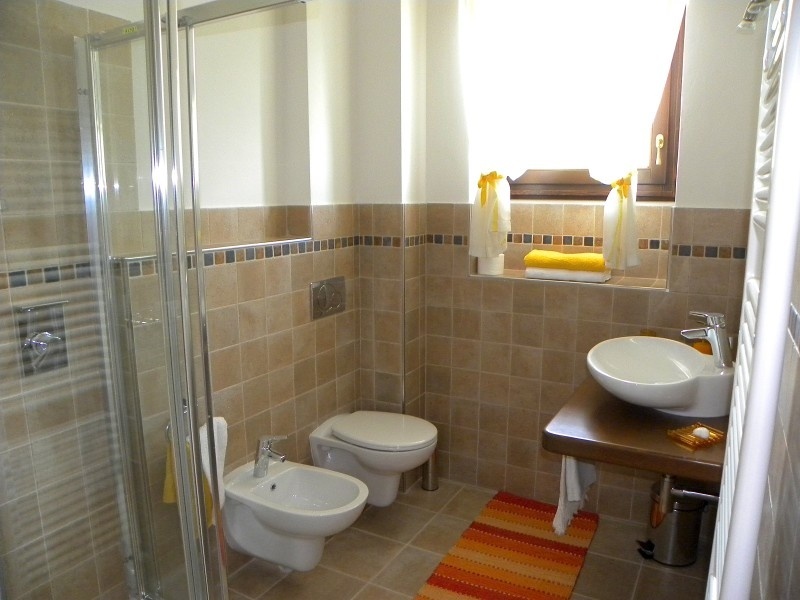 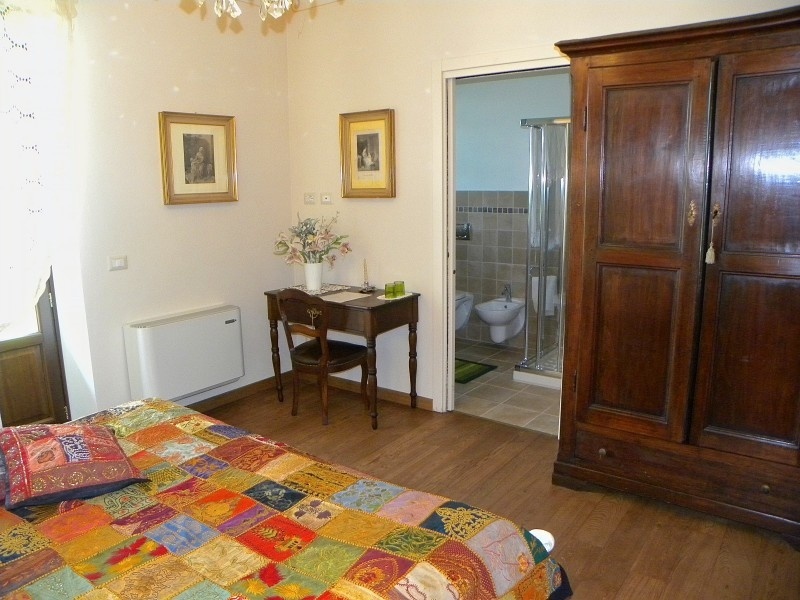 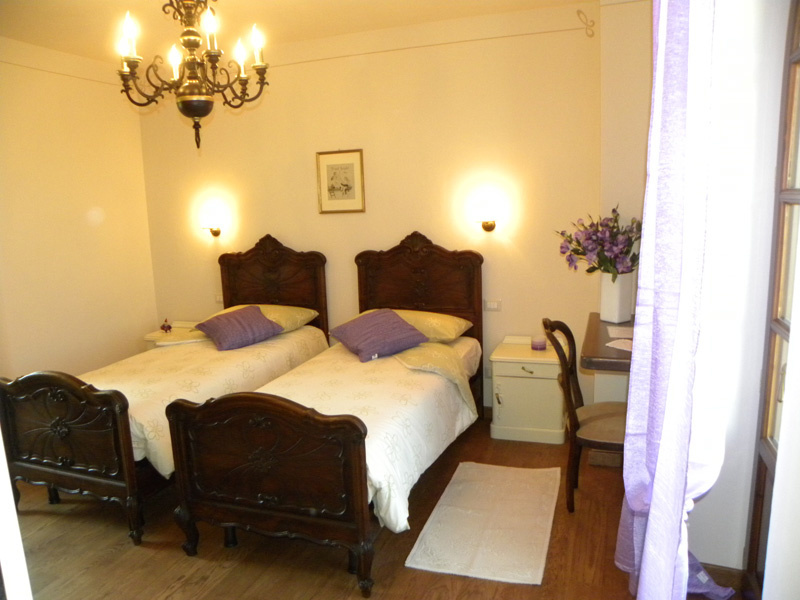 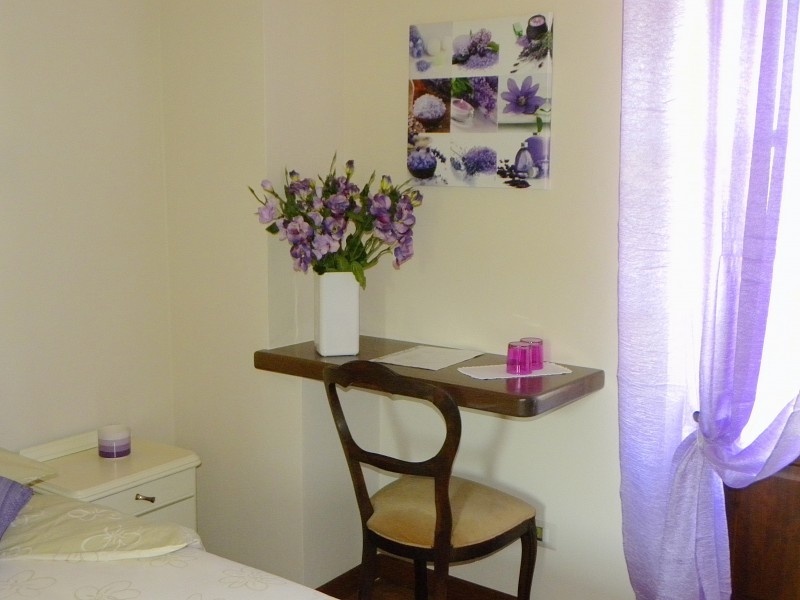 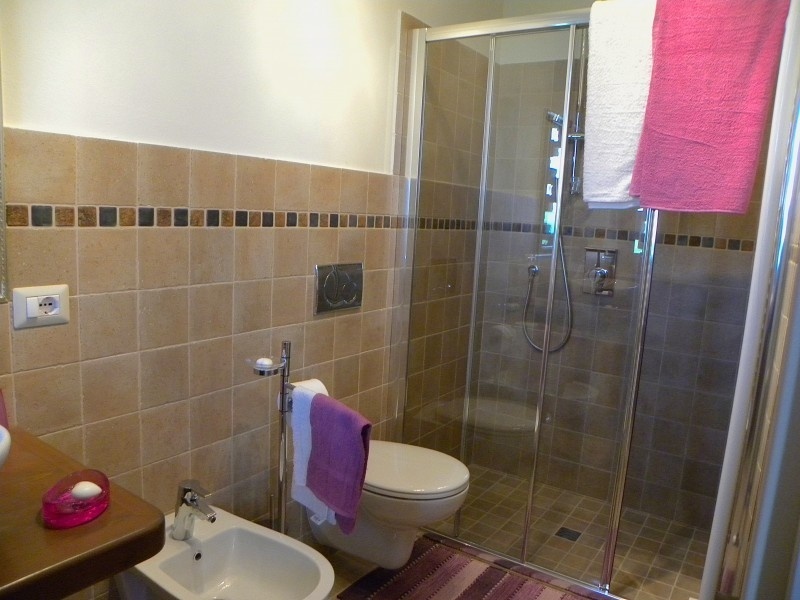 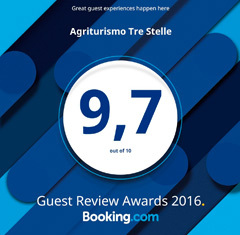 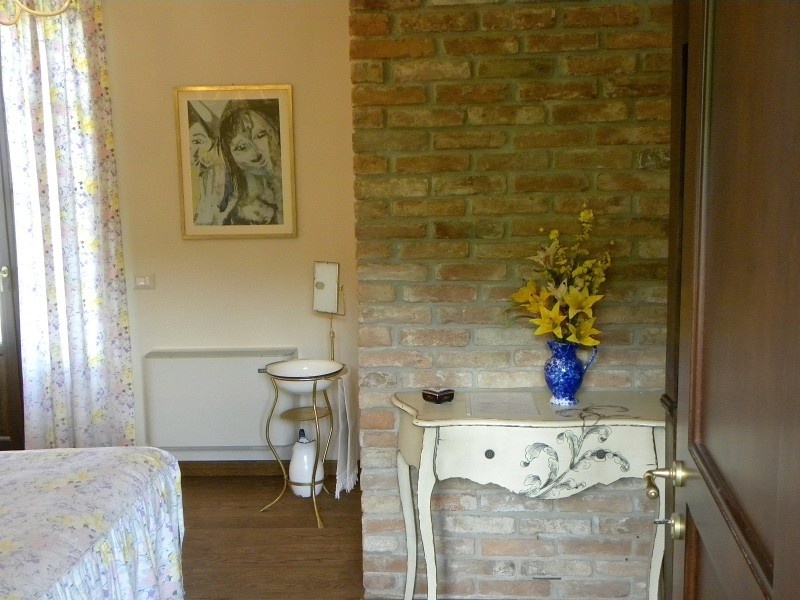 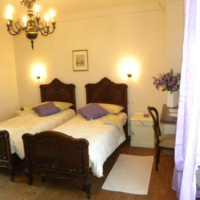 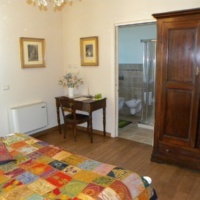 There are 4 double rooms each with its own private bathroom and balcony. 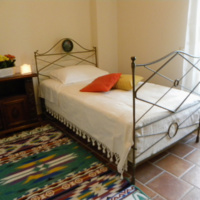 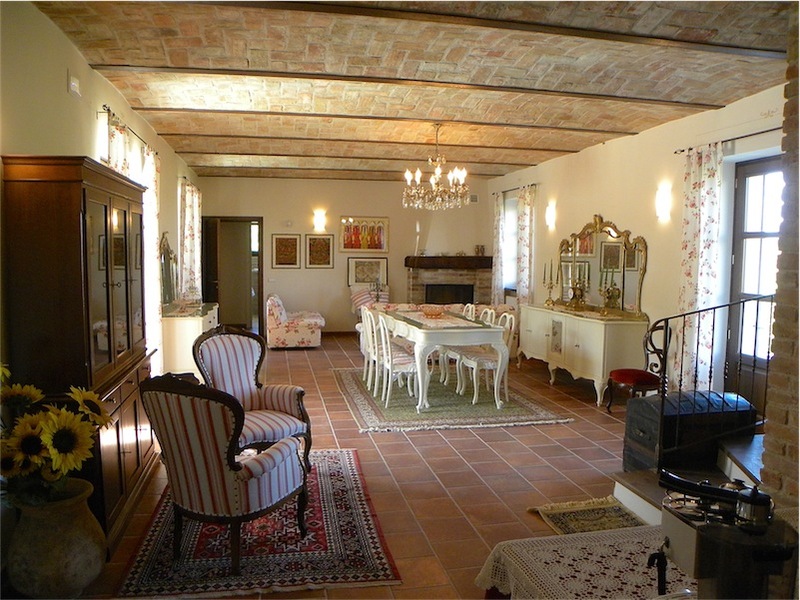 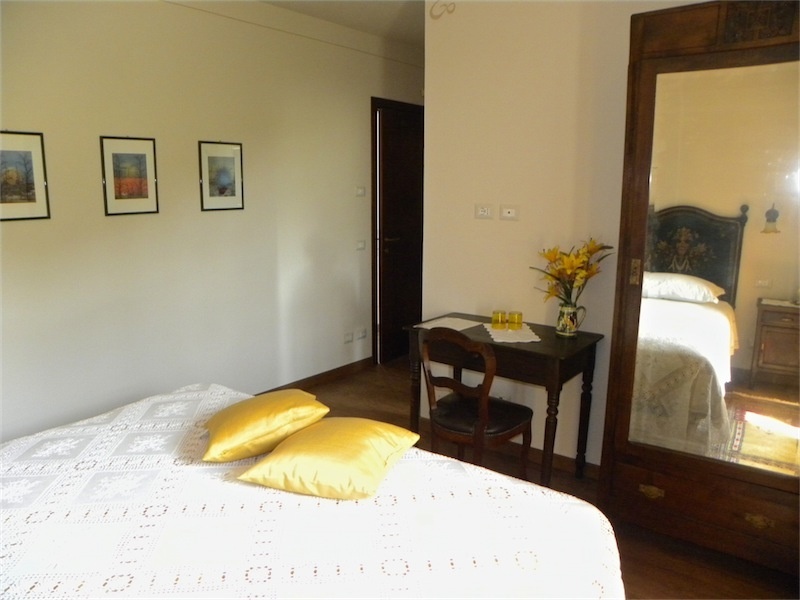 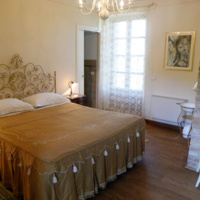 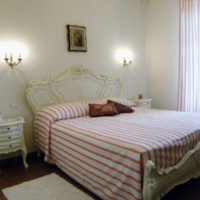 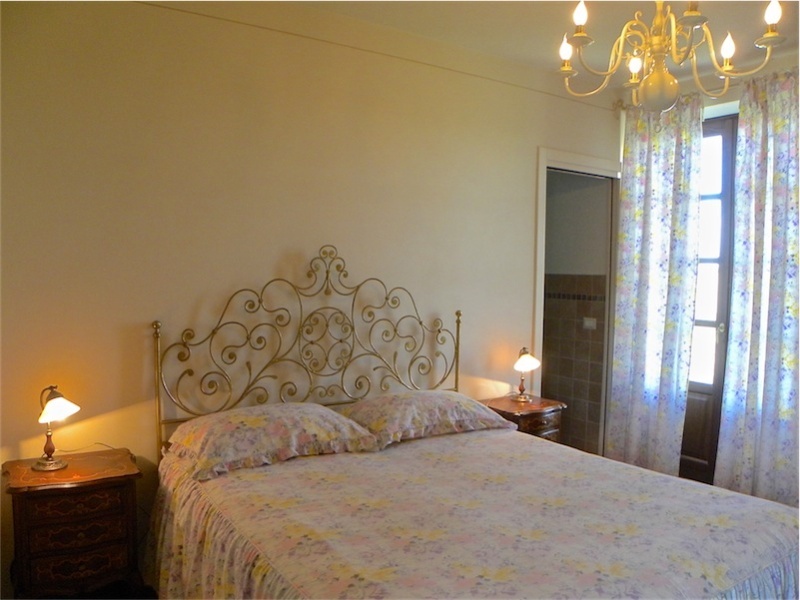 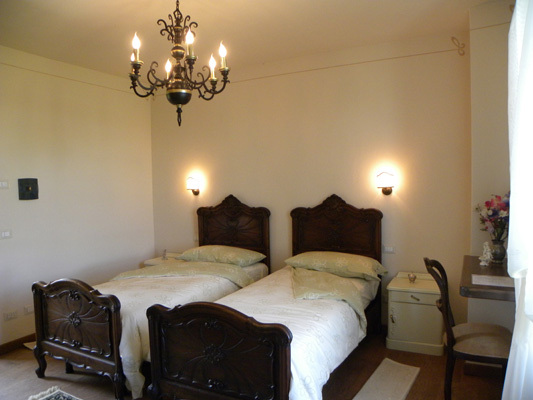 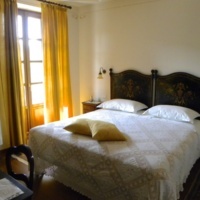 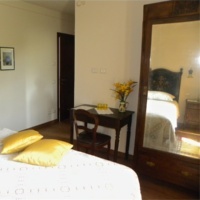 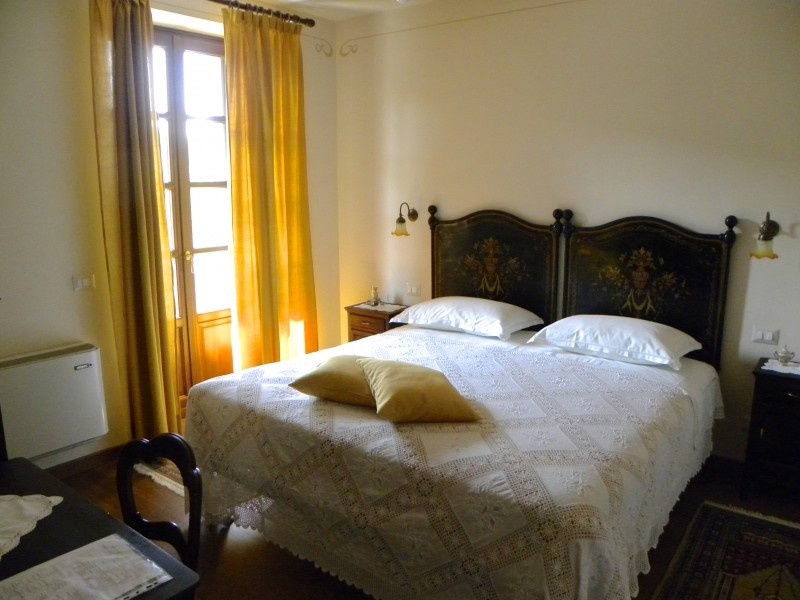 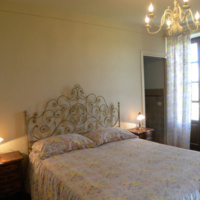 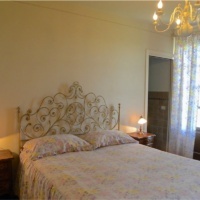 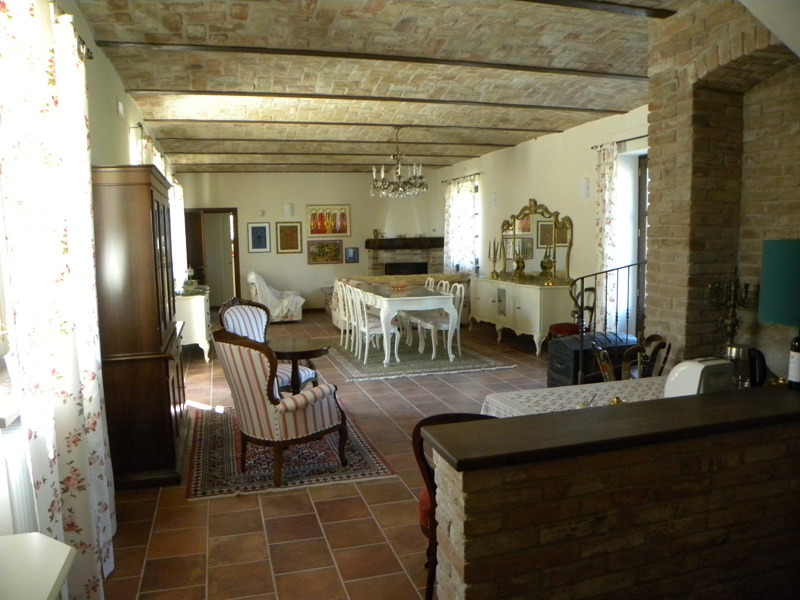 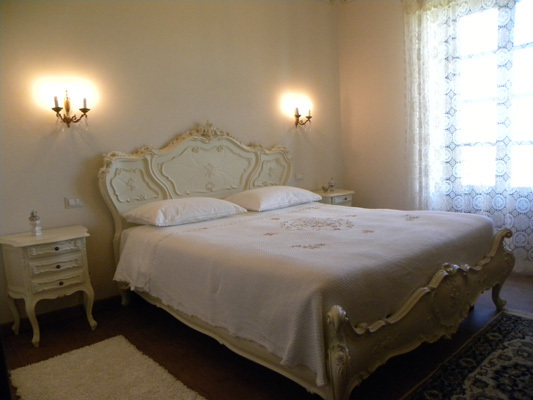 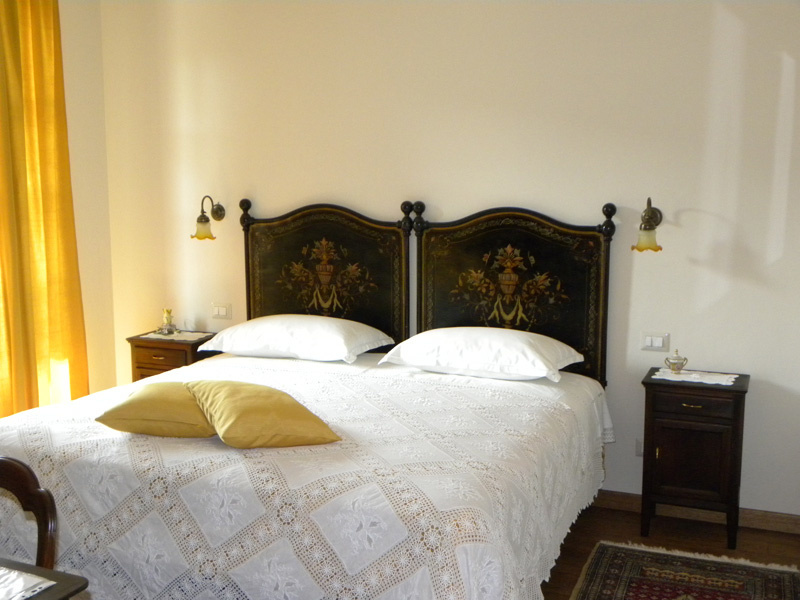 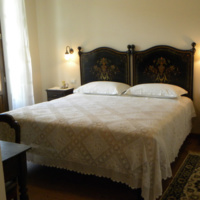 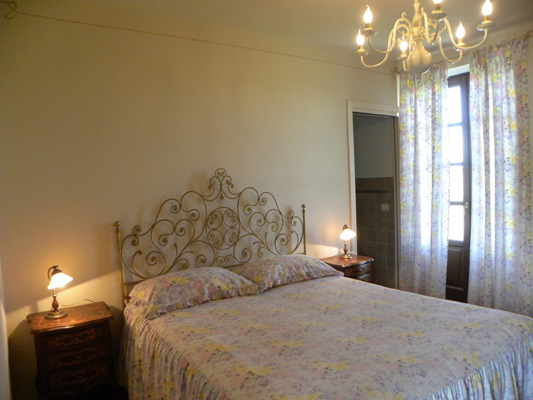 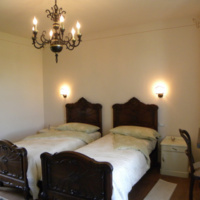 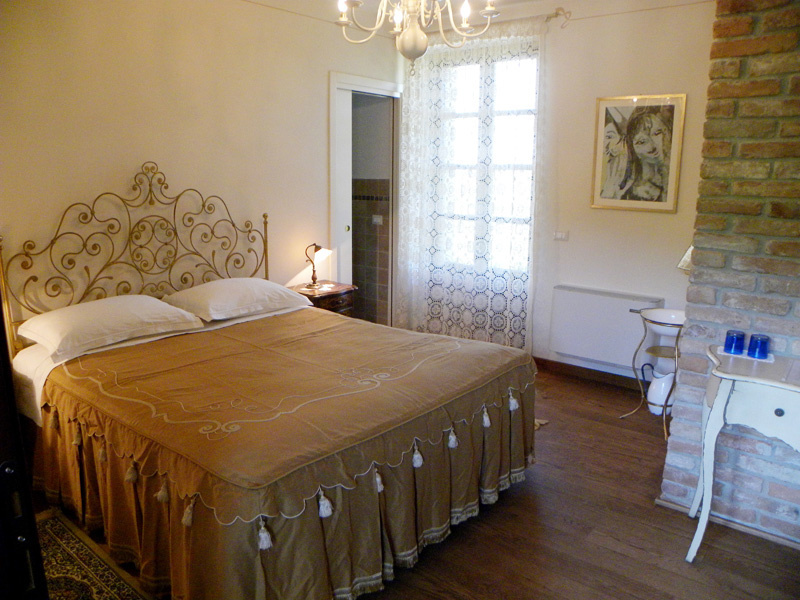 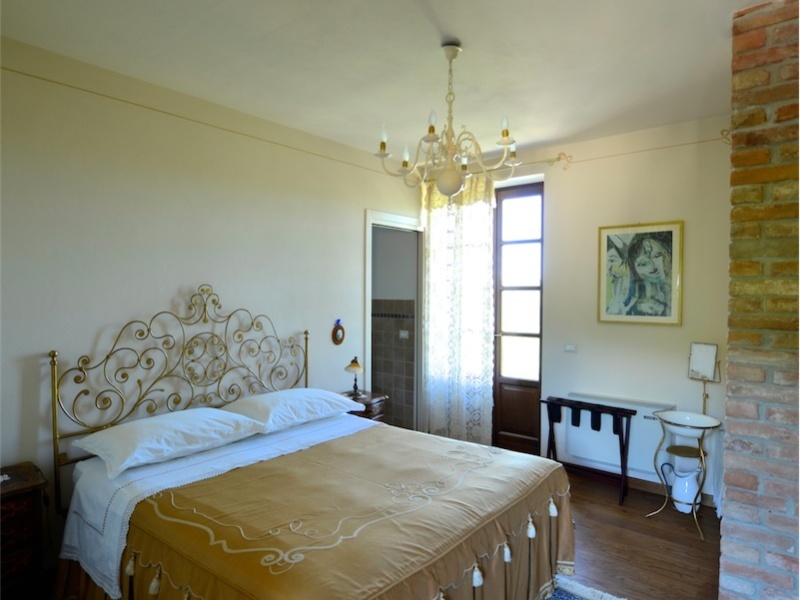 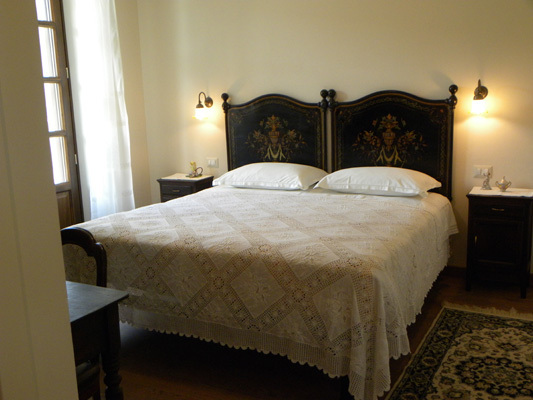 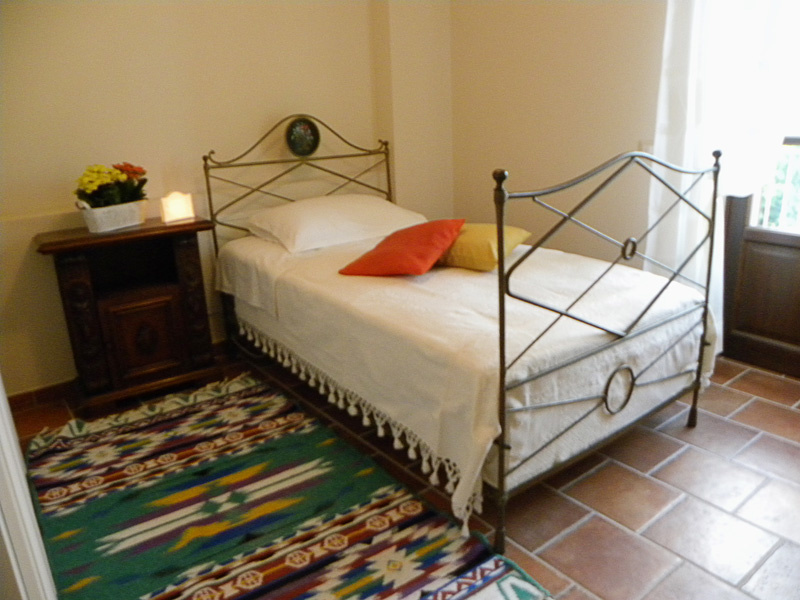 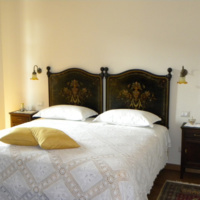 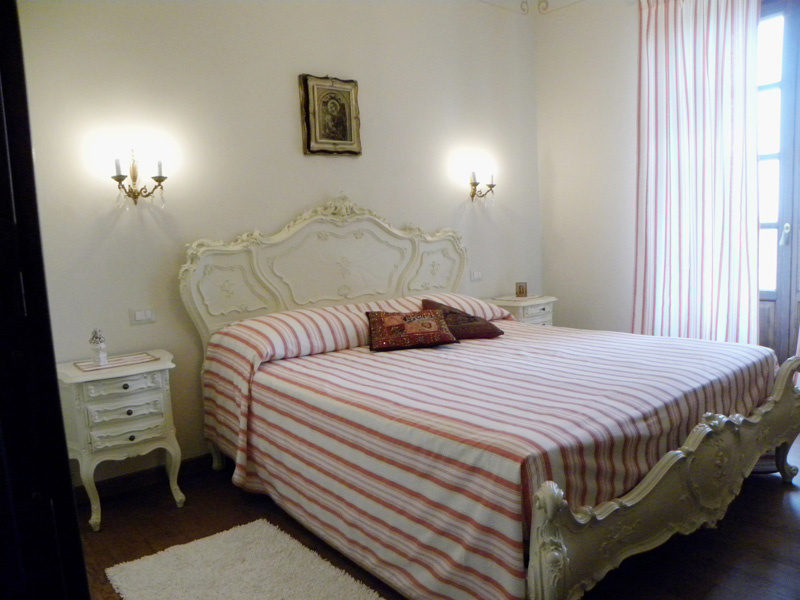 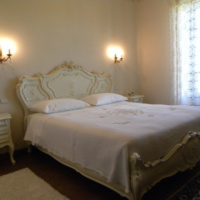 All rooms are furnished with furniture inherited from our great grandparents, grand- parents, aunts and uncles. 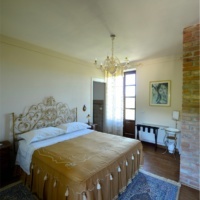 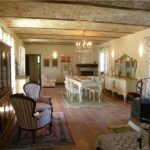 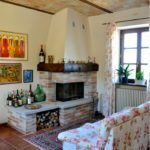 The styles vary, from the typical country bedroom of the last century, to the Piedmont Baroque: all having been professionally restored, plus the personal touch of the lady of the house. 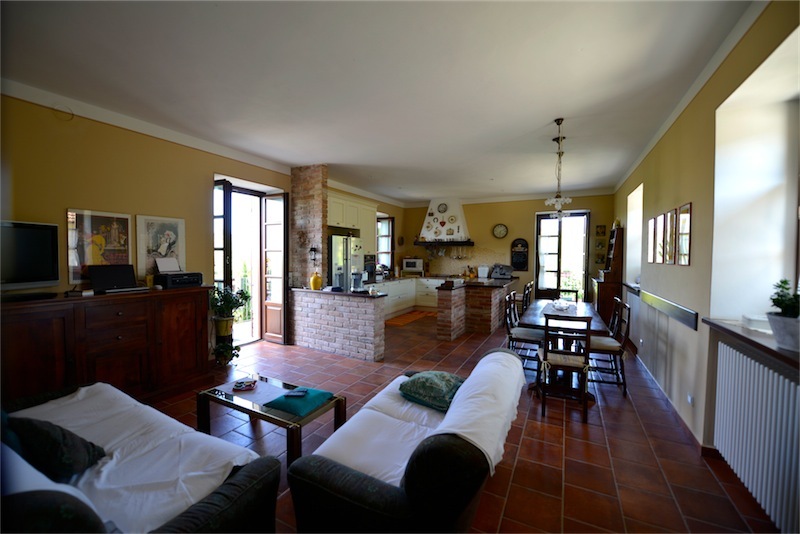 Our house is abounding in history. 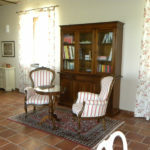 Each piece of furniture, picture, ornament is intertwined with past lives, past memories and emotions. 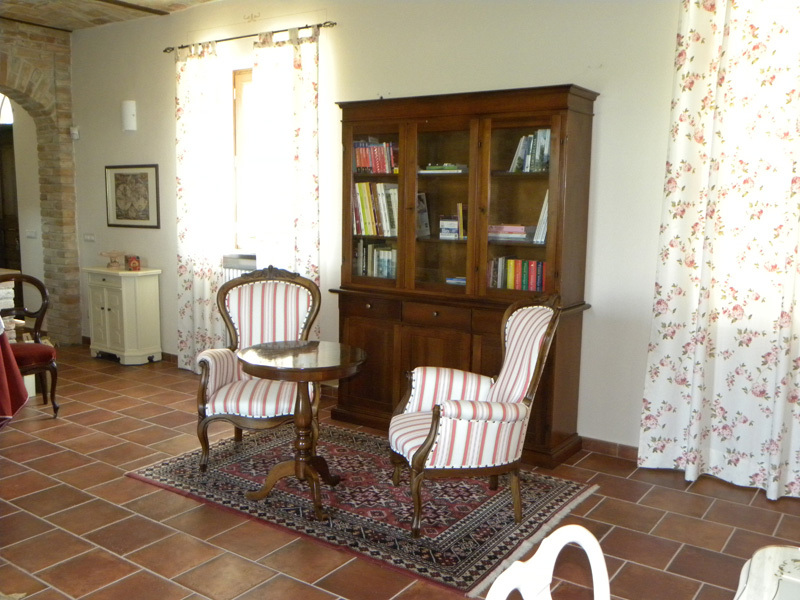 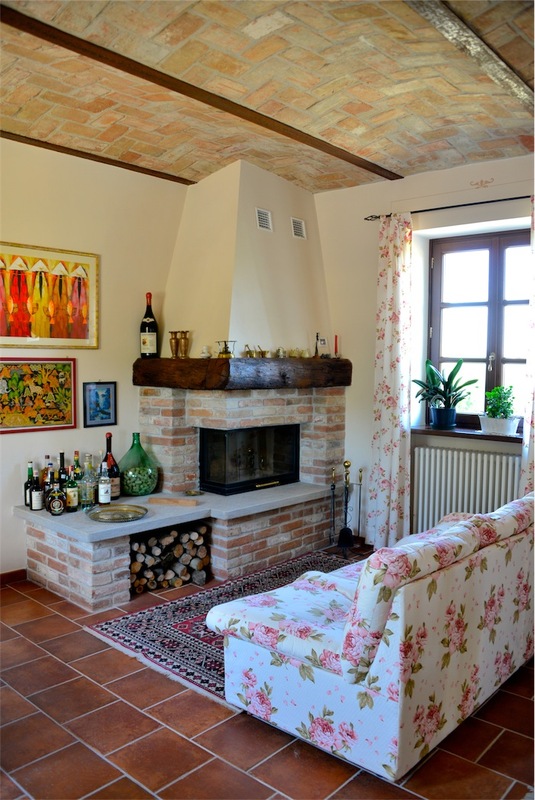 A Spacious welcoming lounge with fireplace and quiet reading area is waiting to welcome guests. 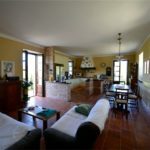 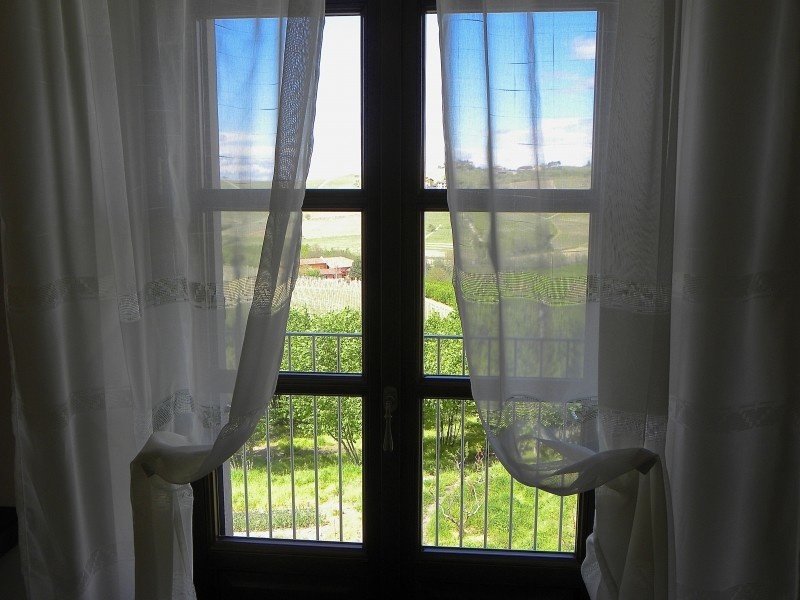 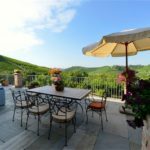 There are panoramic terraces with views over the surrounding hills and over our orchards. 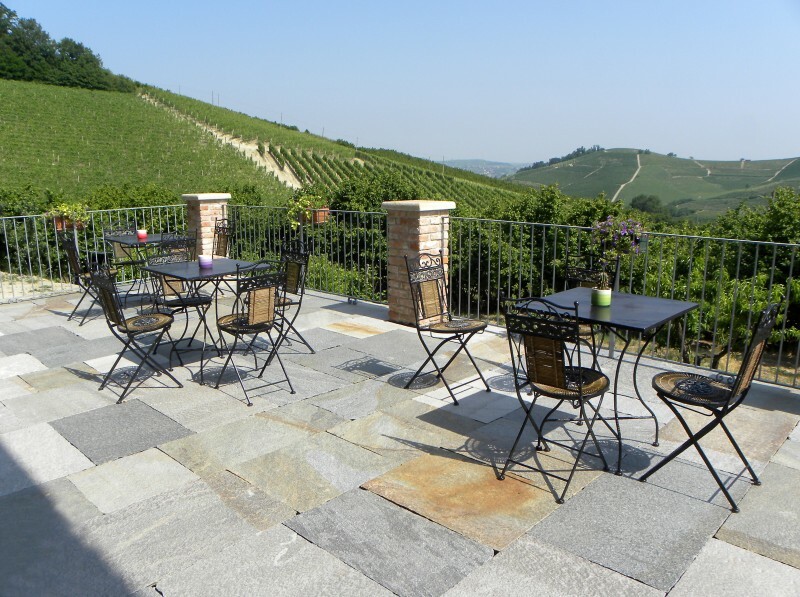 This is an ideal place for breakfast, sunbathing and relaxing. 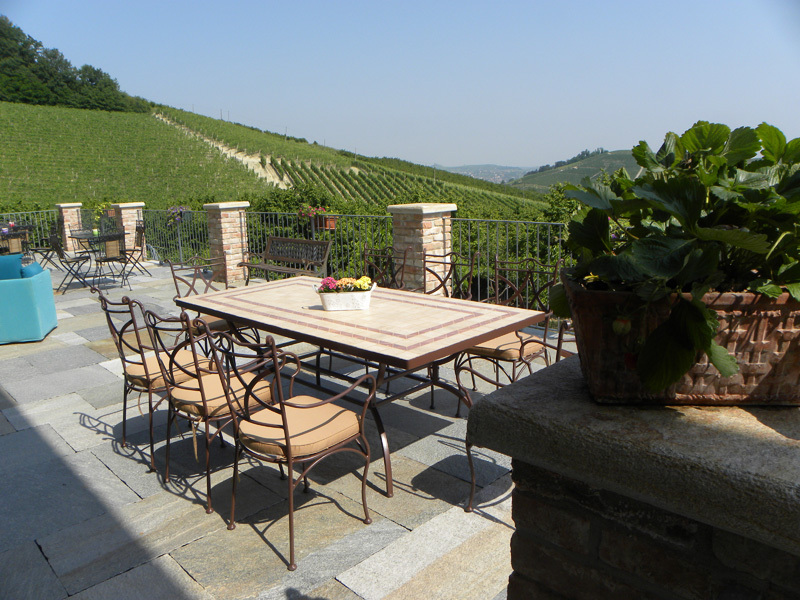 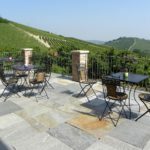 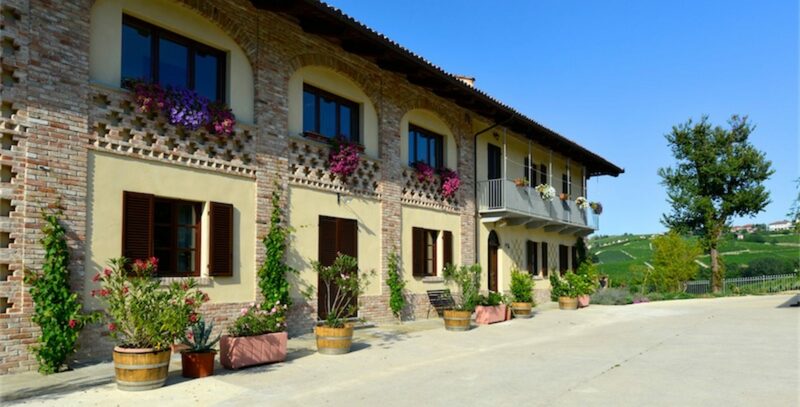 A holiday in the Langhe to discover: its history, natural life and good wines.